PeopleBrowsr, the social analytics service and parent company to Kred, has shared news that it has been awarded a temporary restraining order against Twitter granting it continued access to the service’s full Firehose. Update: We’ve received a copy of Twitter’s opposition to PeopleBrowsr’s request for a temporary injunction and have embedded that below, along with any new information from it. In PeopleBrowsr, Inc. et al vs Twitter, Inc., the company alleged that Twitter had restricted access to the firehose, a powerful stream of tweets and data that was important to the company — something that helped the service provide the necessary social data intelligence required by its customers. The San Francisco Superior Court told Twitter that the application did have merit and a hearing date for the preliminary injunction was scheduled for January 8, 2013. Jodee Rich, the founder and CEO of PeopleBrowsr, said in a blog post that he welcomed today’s decision: “We relied on Twitter’s promise of openness when we invested millions of dollars and thousands of hours of development time. Long term supply is essential as this industry matures. We made this application to ensure full unrestricted access to the Firehose for our Enterprise and Government clients.” He also believes that Twitter needs to maintain an open ecosystem for its unique data. A Twitter spokesperson tells us that they believe the case is without merit and that the company will “vigorously defend against it”. You might recall that earlier this year, Twitter had started to become more conservative with its API and was cracking down on how third party services were using its feed. This actually does not appear to be the case here. Sources familiar with the matter tell us that PeopleBrowsr’s access to the Firehose was originally set to expire soon and that it chose to seek out a temporary restraining order so that it could continue to have access to it. We’ve heard that Twitter told PeopleBrowsr could continue to have access to the Firehose if it approached either Gnip or Datasift, the official resellers, and told the company this months ago. It claimed that it did not want to renew most of its “direct-to-user” contracts and move them to a structure where it would be handled by the resellers. 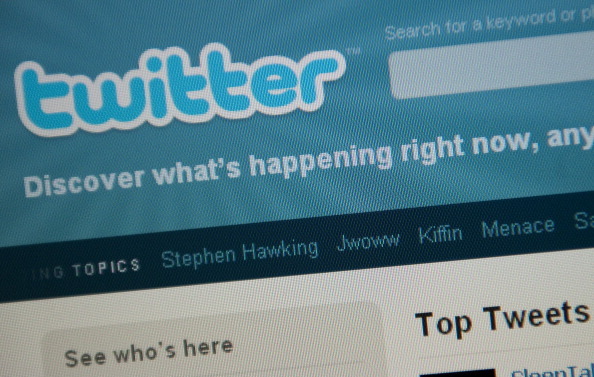 The lawsuit claims that Twitter receives more than $1 million per year from PeopleBrowsr for access based on an agreement the companies had in June 2010. As part of that, PeopleBrowsr would be charged the greater of a minimum monthly fee or 25% of its gross revenue. It states that, as previously stated, any denial of access could “devastate [PeopleBrowsr’s] business”. With regards to those resellers that PeopleBrowsr can go to? Apparently it’s not enough for the company — in its suit, the company claims that “Twitter’s alternative data offerings, including those provided by its partners Gnip and DataSift, provide only a small fraction of the data provided by the Firehose, and are not sufficient to support PeopleBrowsr’s products.” In addition, PeopleBrowsr claims that the resellers won’t provide them access because Twitter said not to. In using the Firehose, the complaint states that the service receives between 3,000-4,000 tweets per second and has over 1,000 days worth of tweets for over 120 million people. We would like to begin the process to transition PeopleBrowsr to our standard for elevated data access. As explained to you many times over the past year, we are no longer in a position to continue to support PeopleBrowsr’s current month-to-month Firehose license. Over the past year and a half, Twitter has publicly moved away from direct legacy Firehose licenses and created channel resyndication partnerships with Gnip and DataSift to address broad commercial demand in a consistent and transparent manner. Our partners at Gnip and DataSift offer products with a licensing model tailored to a wide array of reasonable use cases. For example, PeopleBrowsr’s peers with industry-leading products that compete directly with Kred and Playground licenses Twitter data through this tier. On the flip side, PeopleBrowsr’s complaint states that Twitter told it that access was going to be restricted to “an inner sanctum of closely controlled special partnerships”. Twitter’s stance is that the lawsuit would order the company to refrain from exercising its termination rights to the agreement and enter into a mandatory injunction requiring it to sign up for a multi-year contract against its will. It’s response states that hornbook law bars this from happening and is supported by past precedent. With the Firehose, companies are able to integrate their services with over 340 million tweets that are being sent each day. Without access, companies who use Twitter’s data are rate limited and only have a small percentage of tweets from which to analyze and use. For a service like PeopleBrowsr, the Firehose was instrumental in helping to bring to life products like Kred, which measures real-time social influence. Without it, the service might take a hit, since Twitter is a major component. The Firehose was first introduced at the end of 2010 and nearly three years later, it looks like the company has been making some necessary adjustments to it. Companies that have access to it include Dataminr, Salesforce’s Radian6, and DataSift, along with search engines that Twitter has deals with like Microsoft’s Bing and Yahoo.